When you find out about how much something costs, and the number is pretty high, it can be attention-getting. However, the matter gets worse if the item or service that you are researching is going to get more and more expensive as the days pass. This is something that applies to nursing home costs. Before we get into the details, we should explain why nursing home costs are relevant to you and your family. Over the years, medical science has improved dramatically, and there are many different treatments and medications out there that can help people live longer and longer lives. There is also the matter of lifestyle choices. These days, people have a lot more information than they did 50 years ago, and this impacts longevity. The lifespan for someone who is reaching the age of 67 today is at least 85, and the older segment of the population has been growing faster than any other. The point here is that you should not be surprised if you do in fact live into your mid eighties and perhaps beyond. 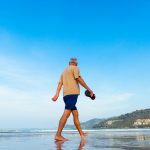 When you are younger, even when you are traversing your middle-aged years, it can seem like you will be able to handle your basic needs on your own forever. However, when you digest these longevity statistics, you can start to see a different picture. Things will be different when you are 85 than they were when you were 65. This is not a theory when it comes to living assistance; it is a cold hard fact. 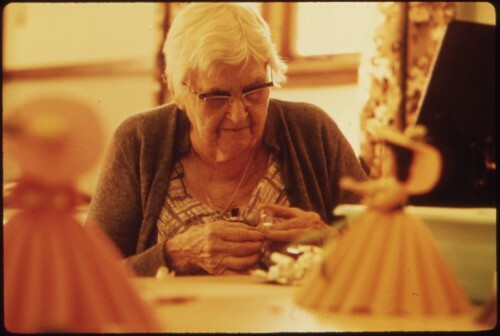 Seven out of every 10 senior citizens are going to need help with their activities of daily living before all is said and done, and many will reside in nursing homes. Every 10 years, the Census Bureau takes a headcount, and they use the data to compile certain statistics. They have found that 24.5 percent of people who are 85 years of age and older are nursing home residents. This figure swells to 50 percent among people who are at least 95. We provide elder law and estate planning services to people in the greater Charlotte, NC area. The state of long-term care costs in our area is not very encouraging, and a recent study has shown that we can expect the costs to rise into the foreseeable future. A very well researched study has been conducted by Genworth Financial. Across the state of North Carolina as a whole, the median annual charge for a private room in a nursing home is over $82,000. That is no small figure, but the prices are higher here in the greater Charlotte area. The median charge for a year and a private room in a Charlotte nursing home is nearly $87,000, and the average length of stay is about 2.3 years according to a survey that was conducted by the government a few years ago. This is not very encouraging news, but costs are going to continue to rise according to the Genworth study. Charlotte area residents can expect a four percent per year increase in the median charge for a private room over the next five years. If you are currently looking into nursing home costs as someone who is going to be entering your retirement years shortly, you may not need nursing home care for 20, 25, or 30 years. When you consider the upward trajectory of nursing home costs in Charlotte, in the future the costs may be absolutely exorbitant. You may assume that the government has all of this under control. In fact, things do not fall into place on that level. Most seniors rely on Medicare as a source of health insurance, but the program does not pay for long-term care. There is a government program that will pay for nursing home care. Medicaid is another health insurance program, but you are probably aware of the fact that it is intended for financially needy individuals. People who want to qualify for Medicaid often decide to give assets to their loved ones so that they can stay within the $2000 Medicaid asset limit. This can be done, but it takes careful planning because Medicaid rules and regulations are complex. 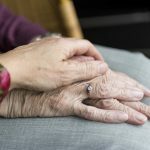 The situation is further complicated when a healthy spouse is remaining in the family residence while his or her spouse enters a nursing home. If you would like to learn more about Medicaid planning, download our in-depth special report. This report is being offered free of charge, and you can visit this page to access your copy: Charlotte, NC Medicaid Planning.